And we’re off. 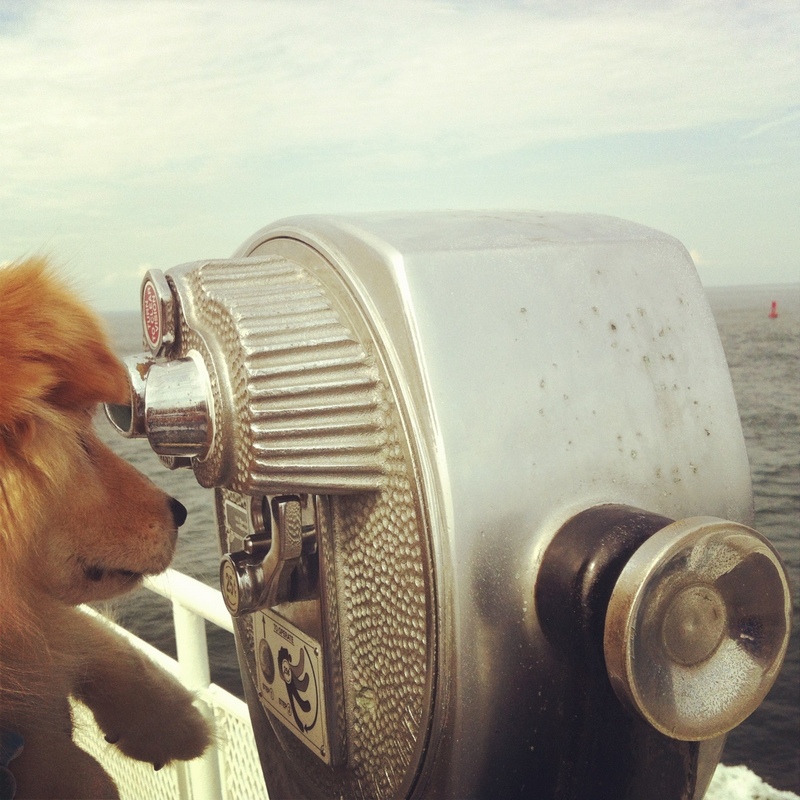 We just set sail on the cross-sound ferry from Orient Point, NY to New London, CT. The sky is hazy and if that wasn’t always the case on Long Island I would suspect it was a sign of the mysteriousness of the next couple weeks. The wind in our hair and our car logged with belongings. Yogi was doing his “take me with you” dance all morning as we loaded the car and even tried to hop in the trunk at one point incase we weren’t quite sure of how his position on road trips (picture to come next).